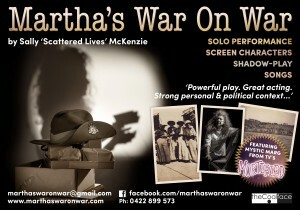 Martha’s War On War is a solo performance with screen characters that looks at World War 1 through the lens of one family’s experience. 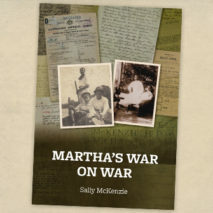 Based on the writer’s own familial history, this new Australian contemporary drama looks at the political and social agendas of the time while highlighting the conscription debate. 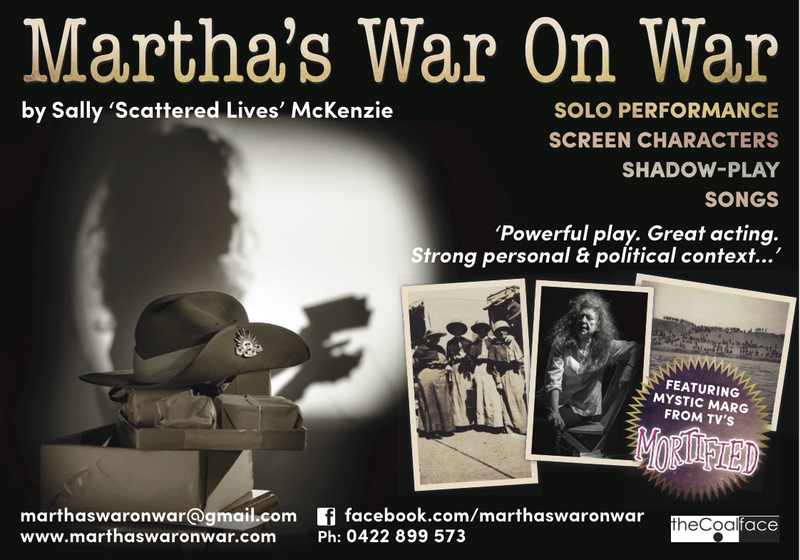 The form contrasts Brechtian elements including direct address with fourth-wall naturalism and interweaves songs, shadow-play, monologues and duologues as the character of Martha interacts with screened characters.